If a facility is well looked after it leads people to make assumptions about the quality of care that the staff puts into every other aspect of their job, specifically camper care. It may not be a fair assumption, but it’s a common one. I remember visiting a camp’s website, thinking how cool the camp was, until I saw a series of photos that had a mess in the background. My thought was, if these are the photos they’re using to promote their camp, then what does the place look like on a bad day?? The camp was for people with disabilities and special needs, and I couldn’t help but think that I wouldn’t trust them with a camper who needed special medical attention because I wouldn’t feel like I could trust them to be thorough, careful, and attentive to details. Don’t get me wrong, I don’t think that camps need to be military style clean, but the beds should be made, and there shouldn’t be stuff lying everywhere all the time! 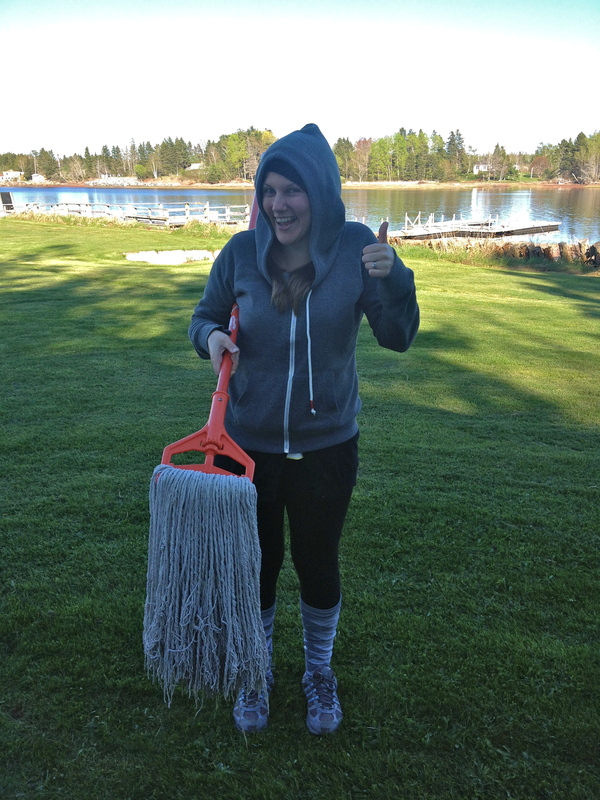 So here are 5 quick tips to keeping your camp clean and making a great first impression. 1. Pick stuff up when you see it. Whether it’s a candy wrapper on a path, or a stray marker cap on the floor of the Arts & Crafts hall (Who would do that?!? Now the marker will be ruined! sigh.) Pick it up. You’ll accomplish a couple of things if you’re regularly picking stuff up. Photos – see the last bullet point and replace ‘visitors’ with ‘people viewing your photos’. Safety! Someone could slip on that marker cap, and then you’d have to write an incident report. No one wants that. 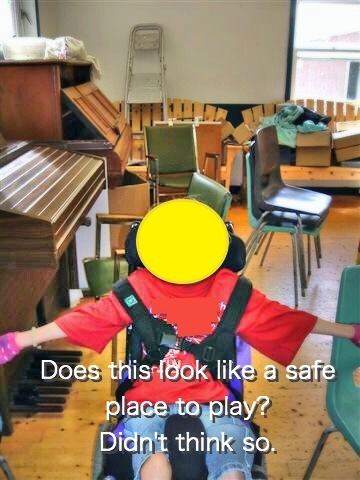 Does this look like a safe place to play? Didn’t think so. I see so many hazards in this photo that it makes me want to jump in the picture and rescue that camper from that danger zone. Now put your parent goggles on, would you send your child to that camp? I wouldn’t. Note: I covered the campers face to protect their privacy, and the privacy of the camp. I wasn’t trying to be rude, that camper has a very lovely face behind the big yellow circle. Use it. If you find stuff lying around, put it in the lost and found box ESPECIALLY if you know it belongs to a counsellor. They’ll get the point eventually when they have to go to the lost and found for the 25th time that day to get their water bottle or sweater. And as we know, everything they do impacts what their campers are doing, so if they learn to be responsible with their belongings, then their campers will too. Go through the box regularly, try to deal with it before it gets out of hand. It’s a helpful tool though as long as the ‘found’ part happens. 3. Do small chores when you get a chance. Doing a small, manageable task is also a really great pick-me-up on those days when everything is going haywire and you haven’t gotten one thing crossed off of your list because you’ve been putting out fires (literally?!) all day. 4. Stand in a doorway of a room and look at it through the eyes of a stranger. That’s a tip my mom taught me when I was little, thanks Mama Camp Nerd!!! It’s an awesome way to see what else needs to be done in the space, I recommend pretending that you’re the Queen/ Prime Minister/ President/ Mother-In-Law, whatever would evoke that high anxiety – this place has to be spick and span perfectly clean – feeling. Use that, then go tidy the areas you spot. Works like a charm. Some of my counsellors have told me they stand in the doorway and pretend to be me. That makes me sad (and sort of proud?). 5. Encourage a community where being clean is a priority. Make cabin inspection part of your cabin of the day/ week award. Give campers (and staff) an incentive to keep their bunks and cabins clean and tidy, you’re teaching important life skills here so don’t skimp, at the same time – it should be a quick task, move through it fast so campers can get to the really fun stuff. Encourage staff to keep their personal space clean too, talk with them about what it means to be a good roommate. There are SO many super important things that you and your staff are doing on a daily basis that sometimes rain jackets get left lying around, puzzle pieces don’t get put away, and equipment gets left in the field. Those things aren’t worth freaking out over, just jump in, help out and give them a gentle reminder that it’s everyone’s job to keep camp clean and safe. 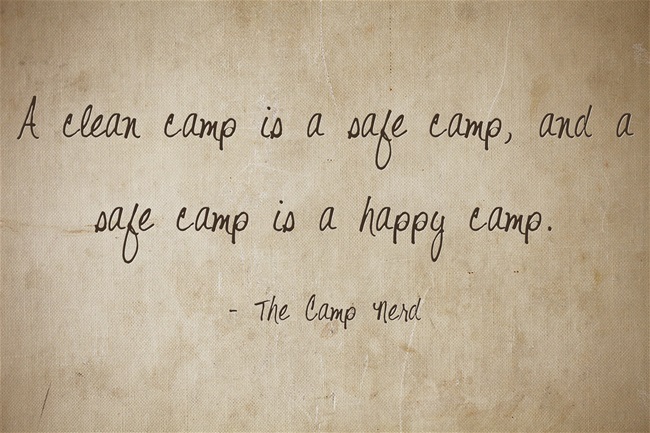 After all, a clean camp is a safe camp, and a safe camp is a happy camp. Do you think it’s important to keep your camp clean? Does that really impact someone’s first impression? Tell me about it in the comment section below.